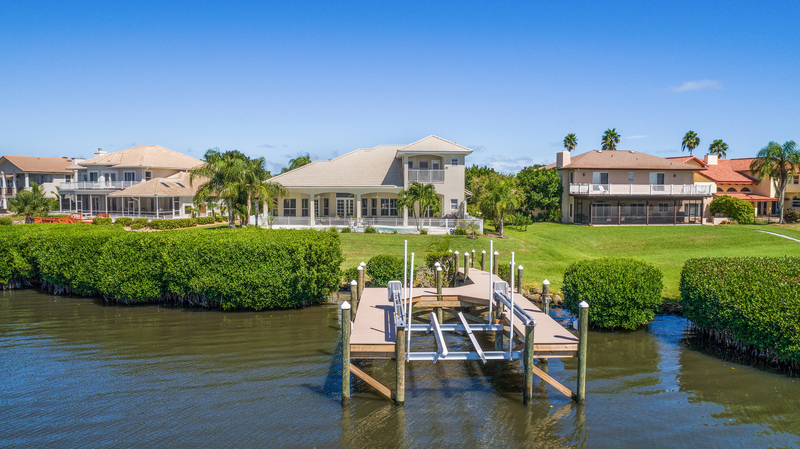 Positioned just right on a curve of the banks of the Banana River, this property sits back giving for a private oasis but with panoramic views of the water. 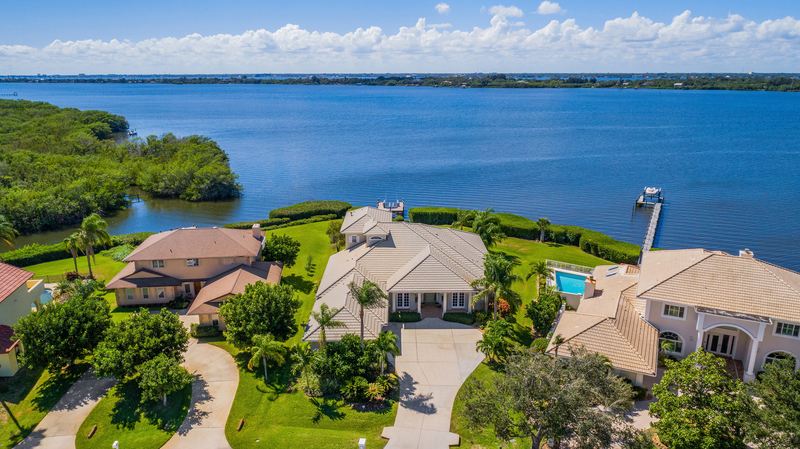 Truly one of the most unique lots in the iconic Tortoise Island gated community in Satellite Beach, Florida, this home has all the offerings for large outdoor gatherings and secluded relaxation. A glistening free form pool is surrounded by a white baluster fence, expansive patio, green grass, and short manicured mangroves. 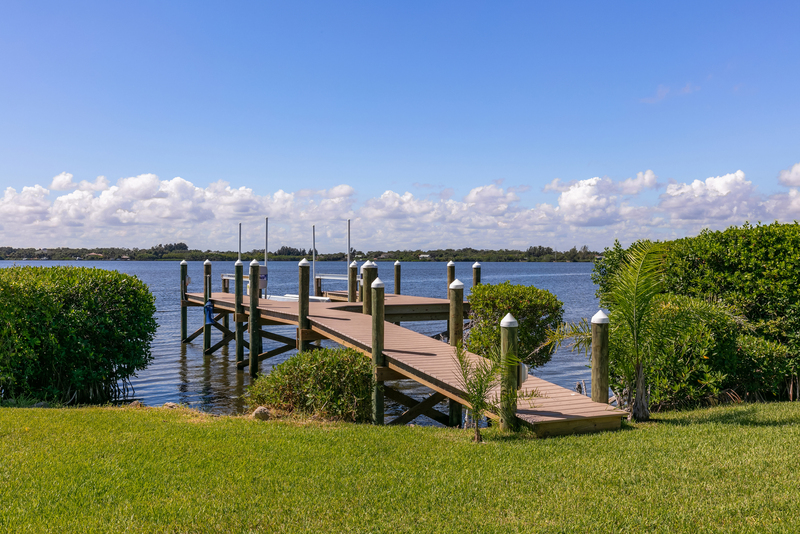 Equipped with a private dock holding a 4500 lb boat lift, the home offers direct access to the Banana River deep water channel and a quick boat ride to where the Indian River meets Sebastion inlet to the South and Cape Canaveral to the North makes this community right in the center of the waterways. 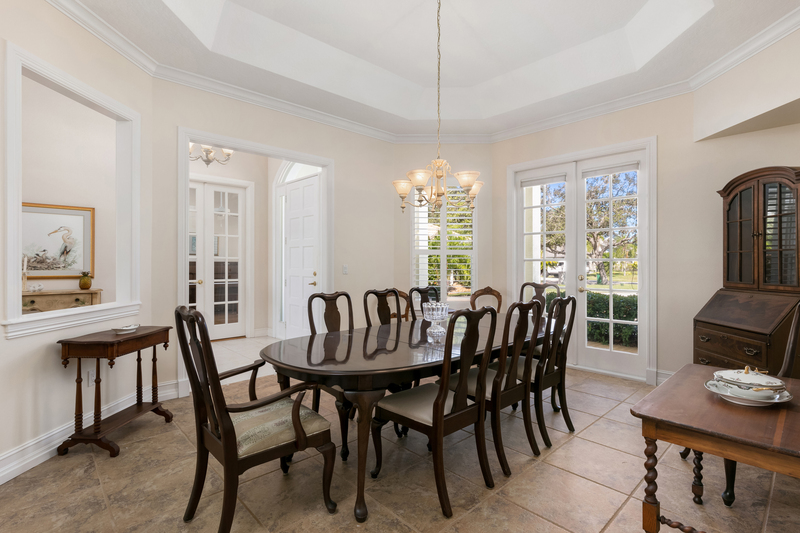 Located close to the cul-de-sac this quiet street offers custom homes with a variety of styles, this residence celebrates a classic courtyard entry with a Florida Colonial elevation and Victorian embellishments. Two sets of French doors and square columns flank the arched entrance of the front porch creating an aesthetically elegant yet welcoming display. Meticulous tropical landscaping creates a pristine look around the home. 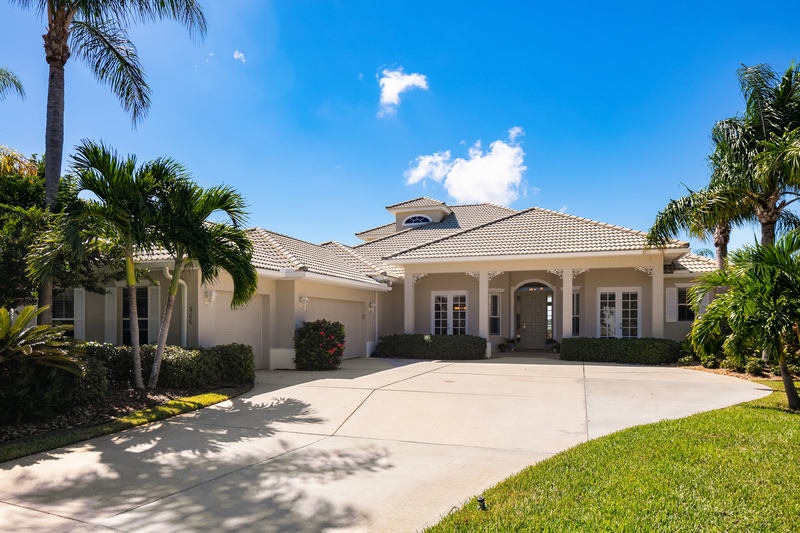 Built by a local highly respected builder, Joel Stein, this home is not only the utmost in solid construction but has an easy flowing floor plan that is timeless. From the foyer, the symmetry continues with a banquet size dining room on the left and a study/bedroom/flex room on the right, both with double doors that open to the front porch. 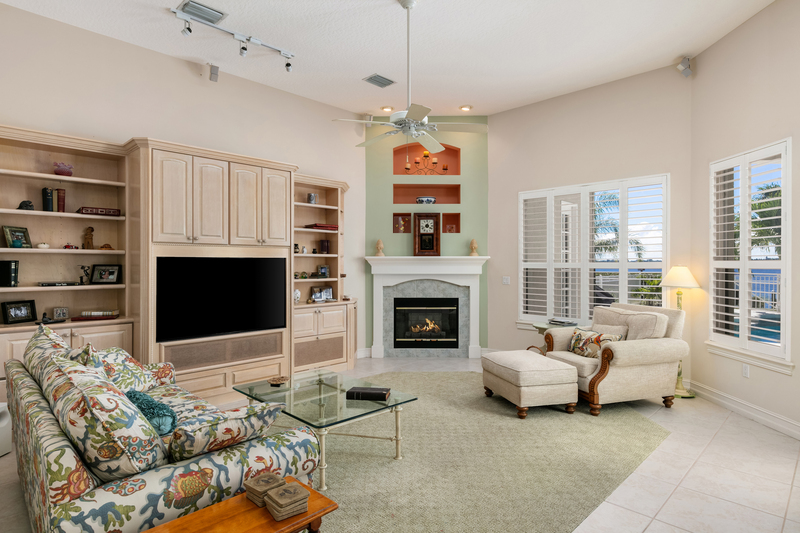 Neutral tile floors flow from the foyer and dining room into the living room straight ahead. Pebble mosaic design in the tile floor creates a unique design element in this circular living area with a lofty coffered ceiling, transom windows and French doors that open to the patio and river beyond. 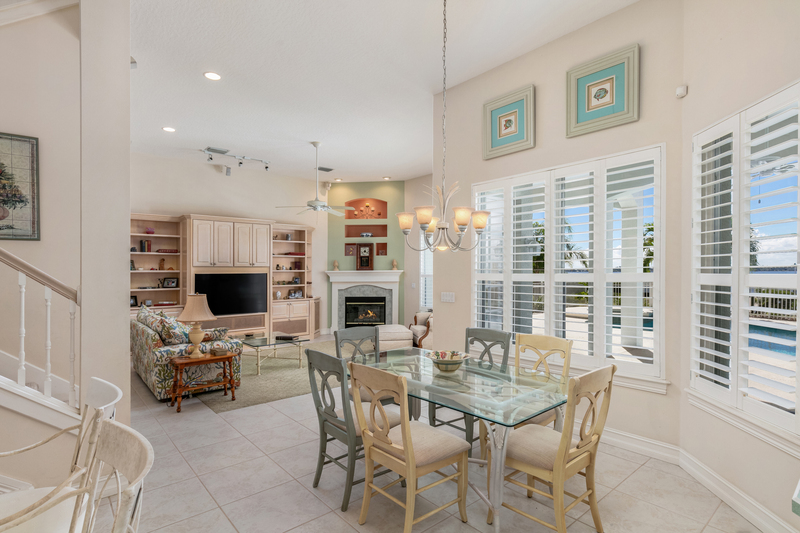 The breakfast room flows beautifully to the large open kitchen and a generous family room featuring built-ins, fireplace, and windows with water views. On the opposite side of the home, the master bedroom suite is luxurious and like a retreat with sitting area in a bay window. Also on the main level, two large bedrooms with walk-in closets share a full bathroom and quick access to the huge laundry room. 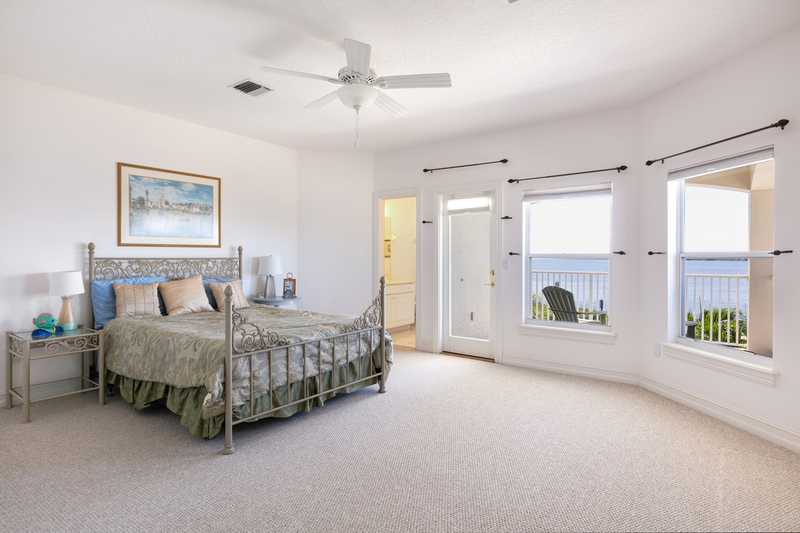 An ideal guest suite is upstairs with walk-in closet, full bathroom and a cozy balcony with stupendous long reaching views of the Banana River. This sunny four-bedroom retreat is listed for $1.2 million with Dale Sorensen Real Estate, an affiliate of Luxury Portfolio International®.